Other photos: Photo 1, Photo 2, Photo 3, Photo 4, Photo 5, Photo 6, Photo 7, Photo 8, Photo 9, Photo 10, Photo 11, Photo 12, Photo 13, Photo 14, Photo 15, Photo 16, Photo 17, Photo 18, Photo 19, Photo 20, Photo 21, Photo 22, Photo 23, Photo 24, Photo 25, Photo 26, Photo 27, Photo 28, Photo 29, Photo 30, Photo 31, Photo 32, Photo 33, Photo 34, Photo 35, Manufacturer Provided Image. They say that every boat represents a compromise of some sort. 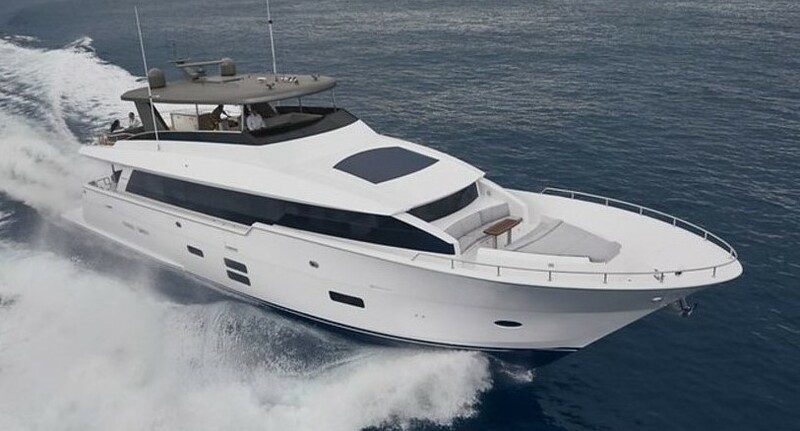 The Hatteras 54 Convertible proves the exception to the rule thanks to her impressive speeds, shallow draft, soft ride and extensive list of standard amenities. Featuring a 4-foot, 2-inch draft and a convex hull design that revolutionized the Hatteras fleet, the 54 provides access to shallow ports and increased performance across all rpm ranges. With 1550hp CAT diesel engines, the 54 cruises a comfortable 30 knots, burning just under 90 gallons per hour. Top speeds approach 38 knots. That’s optimum performance by any measure. Thanks to her sophisticated design, solid construction and creature comforts, you can indeed have it all with the 54 Convertible. "Seaglass" features desirable 1550hp C-30 CATs with (1200hrs), High Gloss Cherry interior, 3 Staterooms and 2 Heads. Over the past few years, over $100,000 has been spent on 2 NEW Garmin 7215 series 15" Chart Plotter, SAT Weather, NEW Strataglass Enclosure, NEW TRAC Vision HD/SAT TV Dome, New Lee Triple Spreader Riggers and extensive CAT service making Sea Glass completely turnkey. Other notable features include Low Profile Davit with Novurania Tender and 40hp Yamaha 4-Stroke and Cockpit Ice Chipper.